Missing star striker Robbie Keane through injury yet again and winless on the road so far this season, the Galaxy will seek their first victory in five years at Red Bull Arena today against an unbeaten opponent that leads MLS. Former Chivas USA midfielder Sacha Kljestan is starring in the Red Bulls midfield alongside Brazilian Felipe. 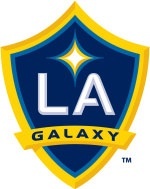 The Galaxy-Red Bulls contest is the first of an MLS triple-header on national television today.